Search firms are a part of our culture. Tom Hall of Albert Hall Associates is one of the best people to find high level theater positions, and I have worked with him on a few searches. 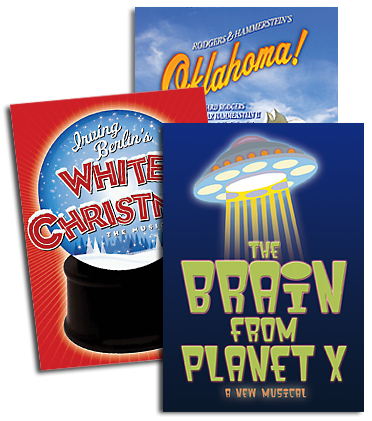 But one I had nothing to do with was the Bucks County Playhouse in New Hope, Pennsylvania. He and the board of the Playhouse found and created a new team to head the place: Broadway veterans Robyn Goodman and Alex Fraser. It was an inspired decision. Andy Einhorn and I pulled together last season at the Lyrics & Lyricists program at the 92nd Street Y to be the Saturday night centerpiece of the weekend’s festivities. Our evening was focused on Rodgers & Hammerstein, so we were asked to slant it slightly toward Oscar, which we did. After all, he had a farmhouse in Doylestown which he bought – it and 62 acres, no less – in 1940 for $23,000! 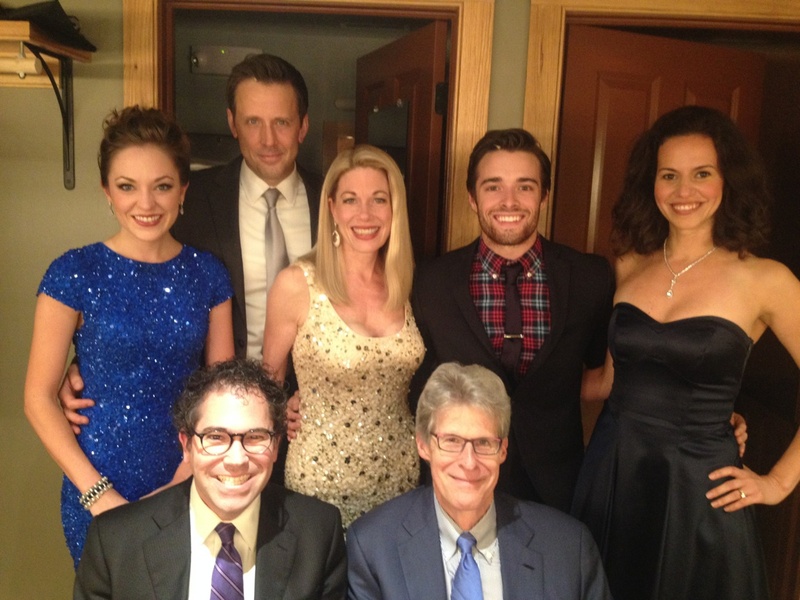 The photograph shows not only those of us who participated – Laura Osnes, Lewis Cleale, Marin Mazzie, Corey Cott and Mandy Gonzalez with Andy Einhorn and me in the front – but the spirit with which this group of extraordinarily talented artists threw themselves into the evening’s presentation. I have learned, when I am the host/narrator, that I have the power to interject some ad libs when and if I feel it appropriate. Carefully. At one point, after a series of knock-out-of-the-ballpark performances, I quipped, “Too bad we couldn’t get any good singers tonight…” I got the appropriate laugh. I am still floored by what skillful singers and musicians can do in a very short period of time. Of course the inspiration for any of these kinds of evenings is the work of Oscar Hammerstein II. For the 92nd Street Y, the program contained only Hammerstein lyrics with Richard Rodgers, but we added some Kern and Romberg. It is hard not to be overwhelmed by the fact that the same man wrote “Stouthearted Men,” “All The Things You Are,” “Edelweiss,” and “A Cockeyed Optimist.” Well crafted – part of my narration was about just how much work went into the crafting of those lyrics – dramatically appropriate, and just plain good. I had the pleasure of working with Robyn Goodman on CINDERELLA. If you look at her credits, what you see is someone who has guided and produced musicals as varied as AVENUE Q, ALTAR BOYS, and CINDERELLA. She has taste, she has talent, and she has smarts. Keep your eyes on the Bucks County Playhouse… I think it is poised to be one of the important incubators of new work in the musical theater. And let everyone learn from the genius of Oscar Hammerstein II!